You are seeing this error saying “Printer not activated, error code -30” juts now. 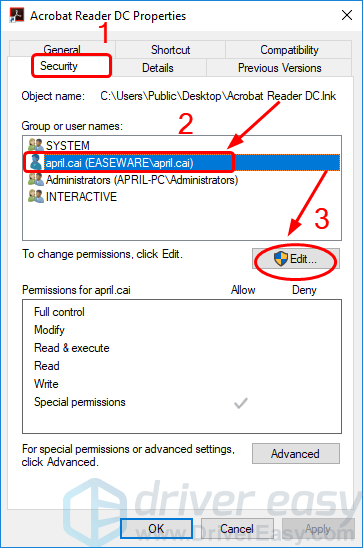 Maybe you are attaching an important file to your on-writing e-mail, or you probably want to save your file as a PDF on Adobe or any other program. But it’s not successful and the error pops up instead. Don’t be frustrated. You CAN fix this nagging problem easily by yourself. This problem could be caused by different reasons. In this guide, we will be telling you the top easy solutions to solve it. You may not have to try them all; just work your way down the list until you solve the problem. 1) If you have a shortcut of the program on your desktop, right-click on the shortcut icon and then click Properties. If not, please go to your program location and right-click on it and also select Properties. 2) Select the Security pane, then click your account and Edit. 3) Select your account again. Then tick on the box of Full control. Click Apply > OK.
4) Go on with the previous work to see if the error disappears. 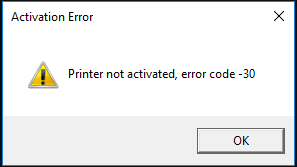 The Printer not activated error also probably be due to an incompatible, corrupted or old printer driver. 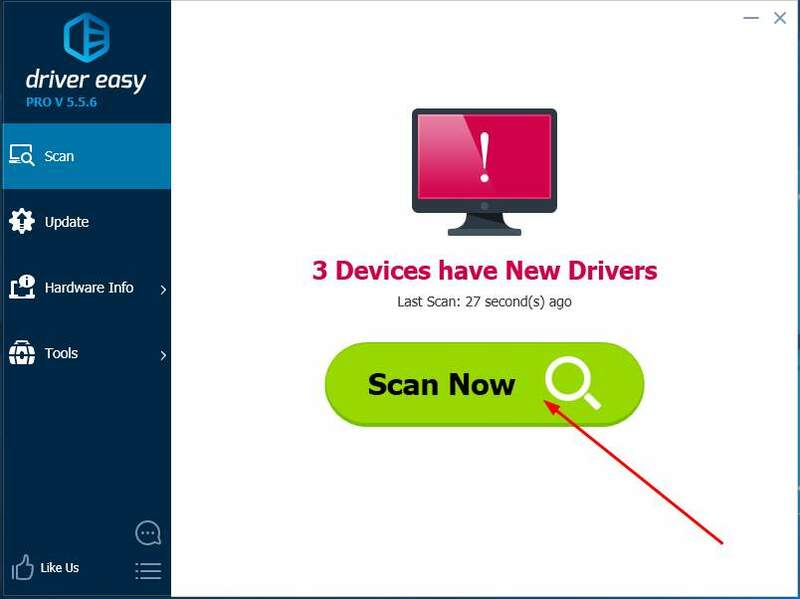 You could solve it easily through updating your printer driver. 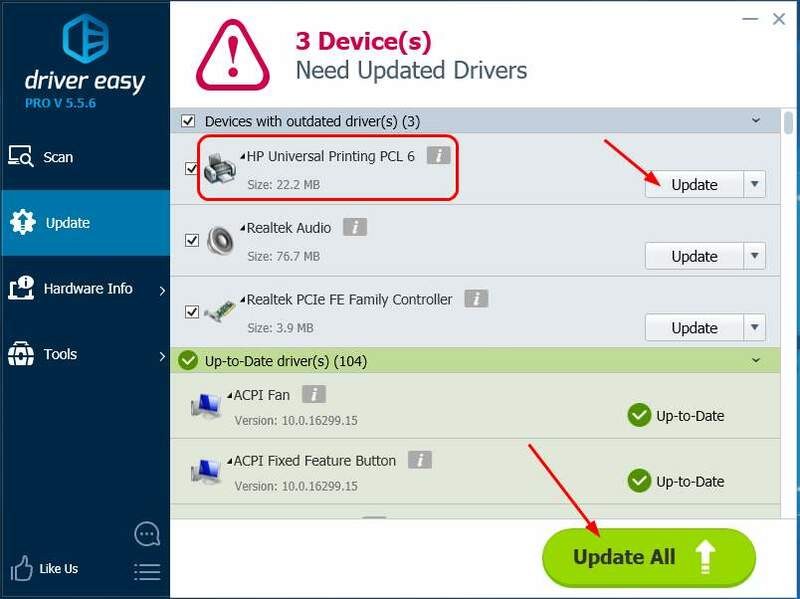 There are ways to update your printer driver: manually and automatically. Manual driver update — Go to your printer manufacturer’s website, and searching for the most recent correct driver for your printer. Be sure to choose the only driver that are compatible with your Windows version. 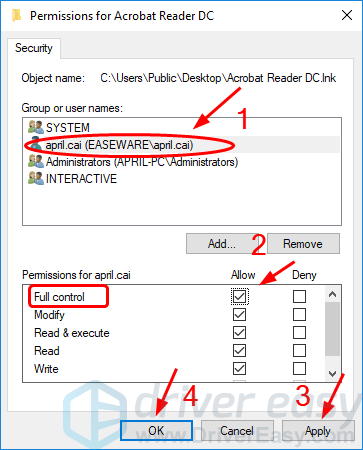 3) Click the Update button next to the flagged printer driver to automatically download the correct version of that driver, then you can manually install it (you can do this with the FREE version). 4) Restart your computer and go on with the previous work to see if the error disappears. If there’re any available updates for your Windows system, please install the updates. Because keeping your Windows updated can make your computer run stable and safe. And also keep your Windows away from some unexpected error like the Printer not activated you encounter now. 1) Type update in the search box from Start. Then click Check for updates from the results. 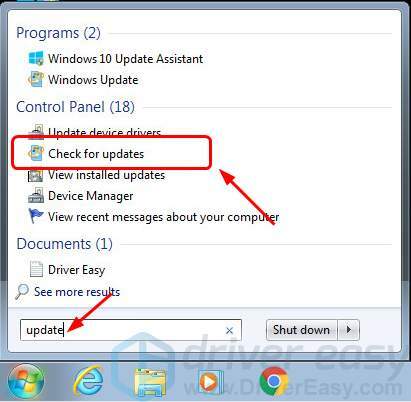 3) Windows should then check for updates and install if any available updates detected automatically. 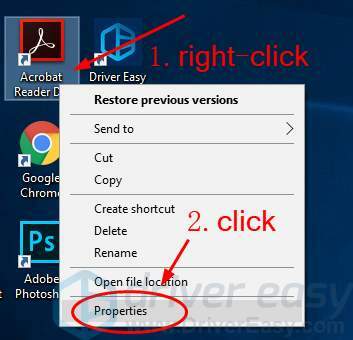 4) Reboot your Windows 10 and go on with the previous work to see if the error disappears. 1) Type update in the search box from Start. Then click Check for updates. 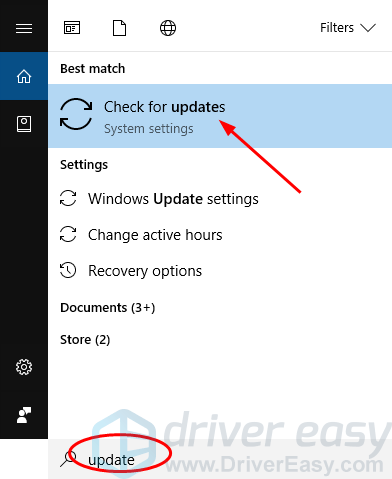 3) Windows should then check for updates automatically. If there’s any update available, click Install updates. 4) Reboot your Windows 7 and go on with the previous work to see if the error disappears.